Wow, talk about bang for your buck. Came across this on sale for $320 and immediately made the purchase. I’ve normally seen this hovering around the $500 mark. 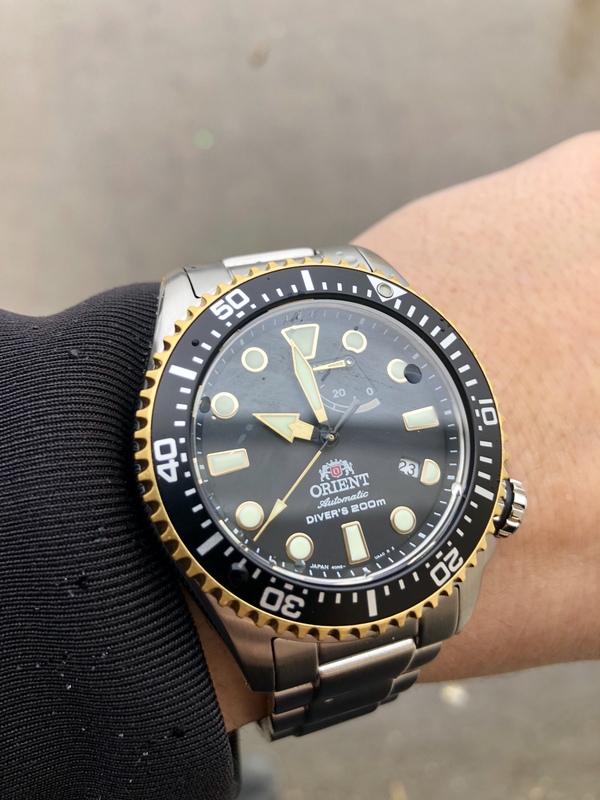 So this is a new Orient diver that is quite evidently a “mini” or “baby” Saturation Diver with a lot of the same design cues as that behemoth. It’s about 43.5mm in diameter and still quite thick, but it’s noticeably smaller and lighter than the Orient flagship. And truthfully, it’s damn near as nice. I would put this right around Sumo level, maybe slightly less impressive finish but definitely the same level of overall execution. The dial and bezel are just fantastic. However, the bracelet is rather “meh” but the lugs/end links look good. Last edited by SaoGage on February 23rd 2018, 7:59am, edited 1 time in total. That's really cool Sao. I dig that bezel and color combination. A few of us in the chat box last night were talking about this model, as I recall. Looks great; I agree about the color combination. TemerityB wrote: A few of us in the chat box last night were talking about this model, as I recall. Looks great; I agree about the color combination. I need to drop by the chat once in a while. Lots of good things going on right now with Japanese horology. This is going to be a big year riding on the successes of last year. I believe the esteemed Mr. Conjurer noted the mini as something he's had his eye on. Dayum!! That looks great, Mr. Gage! Now we want a full review and lots of pics, and we lot 'em goddamn fast, you savvy? conjurer wrote: Dayum!! That looks great, Mr. Gage! Now we want a full review and lots of pics, and we lot 'em goddamn fast, you savvy? You got it good sir! I actually have a few watches here that I’d like to do a real review on for the Lords. Will do my best! Last edited by spanky1 on February 24th 2018, 1:40pm, edited 1 time in total. Thanks Sao: Just what I needed. Another wrist watch. Had read about these. Love it. Really wish it was hovering at 40mm. The older I get, the less likely I am to buy anything over 40mm. SaoGauge you're a very fashion conscious young man. 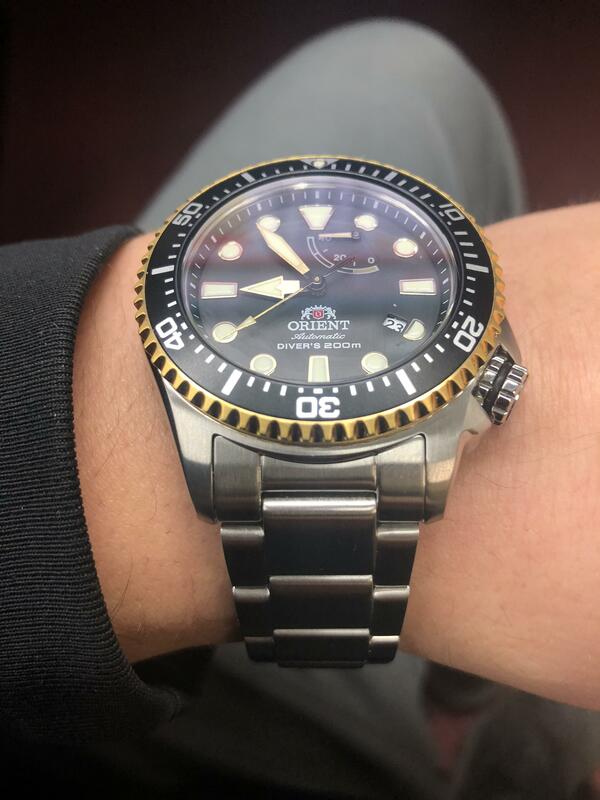 Can you post a picture of a NATO strap that works well on this watch. How about this one in the orange, grey, and black? Last edited by spanky1 on February 24th 2018, 11:55pm, edited 1 time in total. That's an AWESOME wartch, Mr. Gage; nicely played, sir! I too will eagerly look forward to your full-on review of this beautiful piece of Japanese Wartch Flesh...WOOF!! As an admitted "non-follower" of Orient I have one question to satisfy my self imposed ignorance. How do these differ from the older M-Force series? spanky1 wrote: SaoGauge you're a very fashion conscious young man. 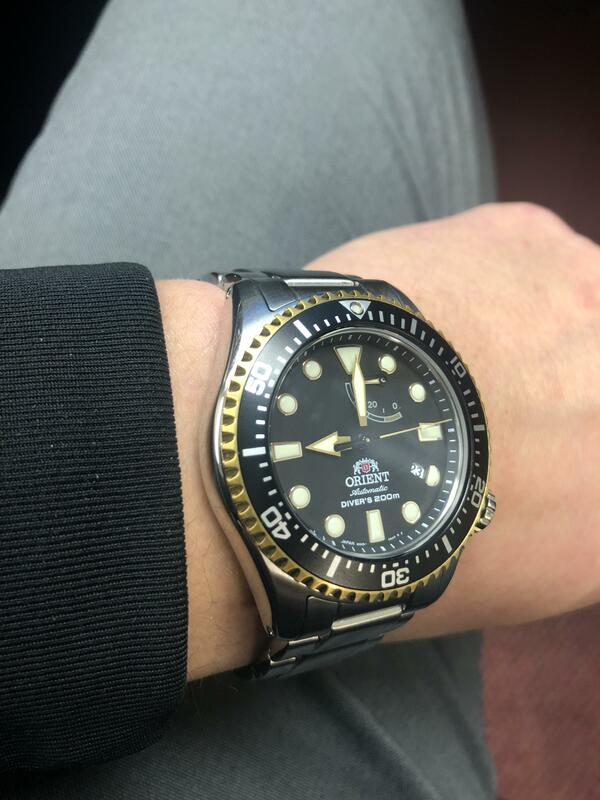 Can you post a picture of a NATO strap that works well on this watch. How about this one in the orange, grey, and black? I'm much more strict in my NATO wearing than most, so please don't let my persuasions keep you from wearing the watch however you'd like. With that said, I don't particularly care for striped NATO's on a two tone watch as I think it ends up clashing. Of the ones you linked, I would probably recommend the regular bond striped (black and grey) version for this watch, of any of them. This is their seatbelt material premium line, and I can vouch that these are top notch. To give you a color option. Miltat makes great NATOs also. foghorn wrote: As an admitted "non-follower" of Orient I have one question to satisfy my self imposed ignorance. I have owned an M-Force that I had on a sharkmesh, gave it to my father several years ago. Great watch, actually. How is it different? Much more classic style and good looks versus the funky M-Force case and bezel. 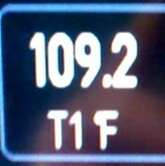 I would also argue better execution and a much better dial (seriously, the dial is the best part of this watch. It's incredible). 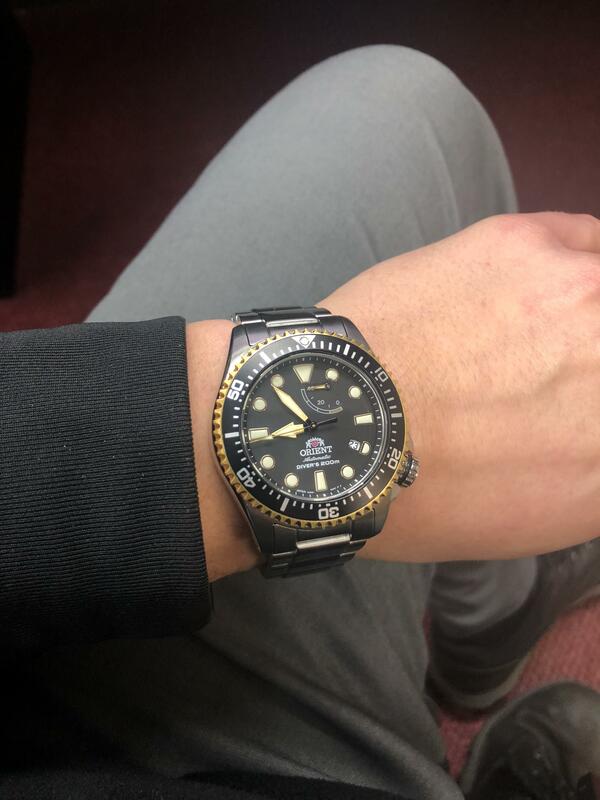 I've always liked Orient but hated most of their designs. 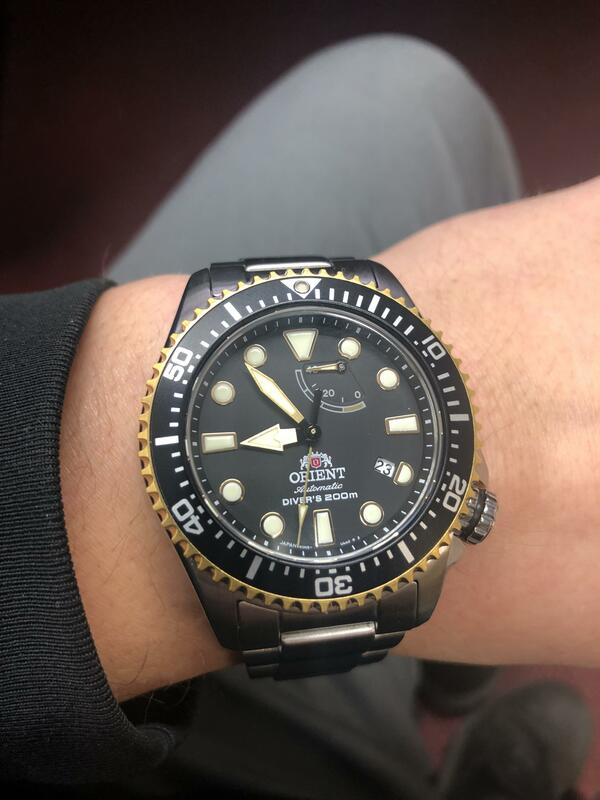 This is IMO the single best watch Orient could have put out right now. Wow that really is a nice one. I like it a lot. Love it, just ordered the same watch from Watches 88, for some reason LIW won't ship this watch to Australia. Is the bracelet difficult to adjust? I like that one a lot. I love my 300 Sat but sometimes it is just to big to wear all the time. Very nice. Id like to see that with a black case and strap. We always said, the OS300 would be perfect if it was smaller...and here we are. Excellent, colors blend in nicely too. Thanks to SaoGage, I also drank the Koolaid a few months ago. It's become one of my favorites. Very nice fellas. Very nice.